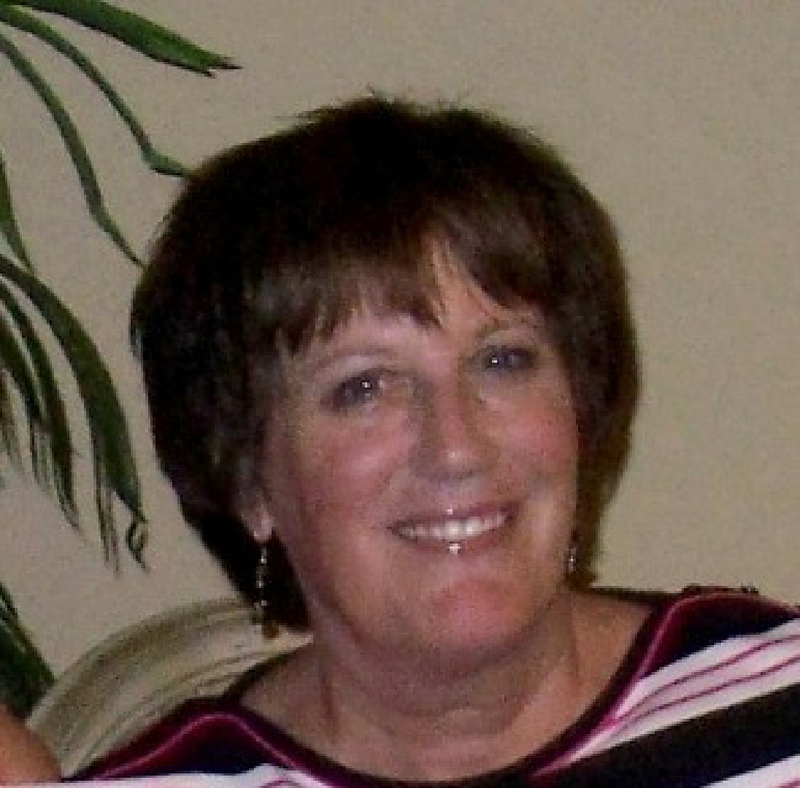 My last and most excellent writer, may I introduce to you…Mary Cunningham! Carla: What would you like to share about yourself? Mary: I’m a wife, mother, and writer and live with my husband and newly adopted canine, Lucy, in the mountains of West Georgia. The location isn’t as remote as it sounds since I’m within walking distance of a grocery story—a requirement in every one of our nine moves! I enjoy golf, swimming, a variety of sports (viewing), hate the summer heat and the winter chill, but haven’t found a way to purchase that vacation home in Maui. 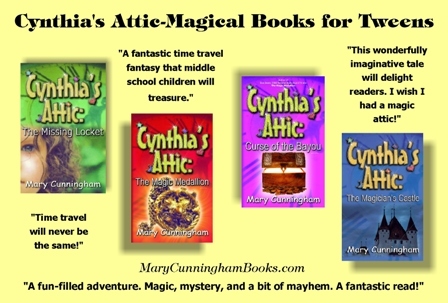 On the professional side, I’m author of the award-winning, four book, ‘Tween fantasy/mystery series”,Cynthia’s Attic. This series was inspired by a recurring dream about a mysterious attic where twelve-year-old best friends, Cynthia and Gus (Augusta Lee), find a magic trunk that sends them through time solving mysteries with their ancestors. Their first adventure finds them traveling from 1964 back to 1914 where they meet their twelve-year-old grandmothers! I’m also co-writer of the humorous women’s lifestyle book, WOOF: Women Only Over Fifty, and Ebooks, Ghost Light, and Christmas With Daisy, a Cynthia’s Attic Christmas story. Carla: When did you feel the need to start getting your thoughts on paper? Mary: Oh, wow. That probably would’ve been when I was about six-years old! I thought I was the next Robert Frost (My dad used to recite poetry to me at bedtime, along with his own made-up stories). That’s about the time I started writing some really awful verses. But, in my defense, I was just six! From there, I wrote family memoirs, but never considered writing fiction until the idea for Cynthia’s Attic emerged. Now, fantasy/fiction is my favorite genre. Carla: What is WOOF about? Mary: Best way I can describe WOOF: Women Only Over Fifty, is with the book blurb! Over fifty? Or planning a trip to mid-life in the near future? Bags packed, but wondering about your destination? Well, you’re not alone. With no map to guide us through the “joys” of middle age, three witty, resourceful, savvy women chart our own course. And you’re invited! Join us as we romp through issues of expanding waistlines, deepening wrinkles, empty nests and muddled memories. And, we even find some good things to bark about! So, don’t just use this book to fan a hot flash. Look inside. Find out if you’re a Springy Spaniel or a Moody Mutt. Discover over 50 reasons to wag your tail. But, WOOF isn’t just about the book, we also have a great blog (WOOFers Club Blog) where women over fifty can visit, make comments and even contribute to our special posts on “Dog Tails” (stories about the special canine friend in your life) and “New Leash On Life” (stories on re-inventing yourself after age 50). We love guest posts! Carla: Genre you’d like to try but haven’t? I’m working on a couple of adult mysteries and am especially excited about a mystery/satire. I love dry humor and the MC and her “cast” embody dry wit. I simply love writing, however, and enjoy jumping from one genre to the next. Carla: What are your literary goals? Mary: Hmmm. Goals for the future. I’d like to make a comfortable living writing. My husband is retired and like many seniors, we’re concerned about the future. How nice it would be to make tons of money doing what I enjoy! An added bonus is encouraging students to write. When I speak to elementary schools, I usually end the program by asking them to remember that old author who came to their school, and how she inspired them to write. If I motivate one student to start writing, then I’m happy, although a few dozen would be even better! Lol. Carla: What’s your advice for upcoming writer’s? Mary: A very generous and blunt NY editor gave me a critique years ago that probably led to getting the first two books in my Cynthia’s Attic series published. “Too much telling—not enough showing.” I had no clue what that meant before researching various writing websites and blogs. But, then I had one of those “light-bulb” moments. I spent the next six months on rewrites that moved the storyline through dialog and action rather than simply “telling” the story. The second bit of advice is, “Write what you know.” It’s easier to write about the familiar. Since the original setting for Cynthia’s Attic is my hometown, Corydon, Indiana, and takes in many childhood memories, much of the research was already in my head. 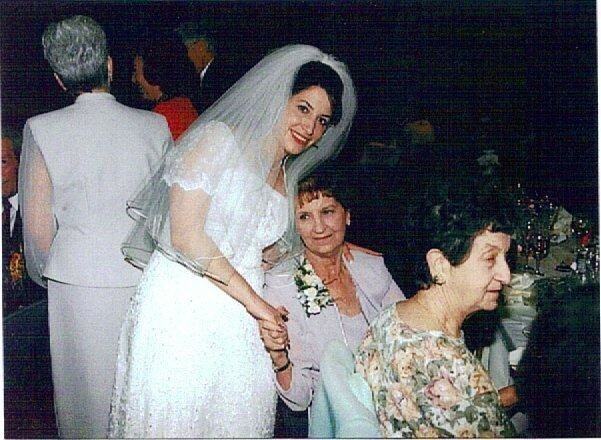 Since I’m a very visual writer (It’s much easier to write when I can picture a scene or character), old family pictures and stories about ancestors also bring authenticity to the story-lines. Unfortunately, in WOOF: Women Only Over Fifty, I know this subject matter inside-out! That’s why we decided to keep WOOF, for the most part, light and funny. We over-fifty women have enough to deal with when it comes to weight gain, hormones and hot flashes, so our objective is to provide a good laugh. I’ve always said anything chocolate, however, my maternal grandmother has been in my thoughts recently, and she made the best rhubarb pie in the world! Not to be confused with those fake strawberry/rhubarb pies! She made hers with rhubarb straight from her garden, along with a fantastic vinegar pie crust (the recipe is included in WOOF: Women Only Over Fifty). One of my fondest memories is her teaching me to make crust. In fact, I got so good at it, I made the crust and she made the filling. So, at this moment, I’d have to say my grandmother’s rhubarb pie. Mary: So glad you asked! Years ago, we adopted a sweet terrier/mix. Molly died in 2008 and we were so heartbroken, another dog wasn’t in our thought process…until a few months ago when we spotted a little dog who had just been abandoned. A great rescue group, 1 Lucky Dog Rescue in Hialeah, FL, took her in, got her shots up to date and then posted her pic on Facebook. One look at her and we were hooked. Thanks to the help of many, and—I’m convinced, a guardian angel or two—we are now adopted parents to Lucy, a Chinese Crested/Maltese mix. She livens up the house with her playfulness and keeps us laughing throughout the day. I feel so fortunate to have brought not one, but two amazing rescue dogs into our lives, and I encourage everyone to check out the shelters first! Don’t shop – adopt! Carla: So sorry about Molly! Nice that Lucy is such great company. Would you please share with us, a line ,from one of your books? Mary: Great question! This isn’t just a line, but one of my favorite paragraphs. My dad was a huge influence on my life and my writing, so this passage from Cynthia’s Attic: Curse of the Bayou, warms my heart whenever I read it. I stared at the solid, radiant blanket of stars. “The Milky Way,” my dad would point out. “That’s our galaxy, Gus. Remember to always respect the beauty and vastness of the universe.” A tear slipped from my cheek. “Another night, Dad.” I couldn’t bring myself to appreciate much of anything at the moment. I pulled my knees in tight and lowered my head. Maybe tomorrow will look better. Mary: Thanks, so much, for inviting me to be a guest on your blog, Carla! It’s been fun! Carla: You are so very welcome, Mary! Thanks for coming along for the ride 😉 Wishing much success to you, as you travel on your writing journey! A big, warm welcome to our youngest featured author, Kieryn Nicolas! Carla: Tell us a bit about yourself. How old were you when did you had your first book published? Kieryn: I was fourteen when I got the contract and fifteen when it came out in print. (The eBook was released a few days before my birthday.) I was so excited when I saw the first print copy of Rain—I started jumping up and down, flipping right through it; the works. I was excited to see the first copy of Flawless Ruins, too but I was at a book festival surrounded by boxes and tables so there wasn’t much space to jump up and down. Carla: When you’re not at school or behind the keyboard, what’s your favorite thing to do to unwind? 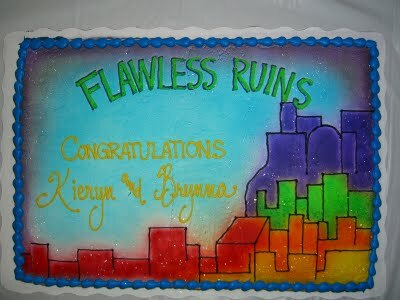 Carla: Tell us about Flawless Ruins, your new book. 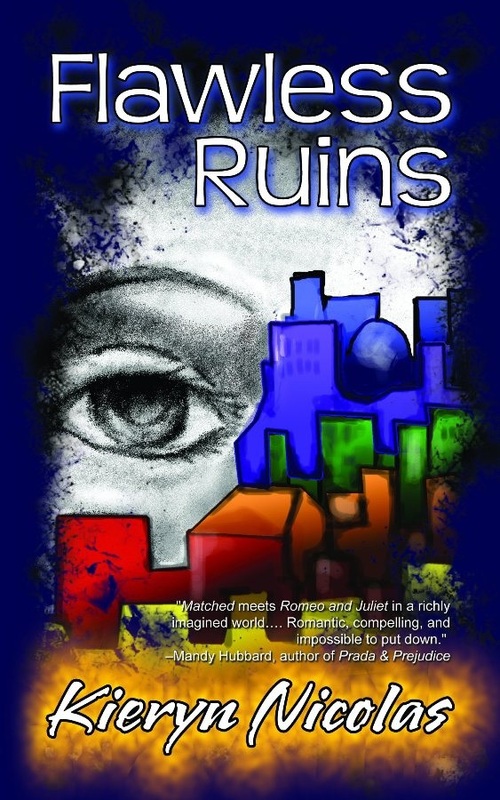 Kieryn: Flawless Ruins is different from Rain in that it’s set a few hundred years in the future, and I have chapters from two different points of view. Oh, and there are no men in the book!…Or, at least, there aren’t supposed to be. The book cover based on a design by my sister. She drew the background image! Carla: What’s your advice for teens who want to write professionally? Kieryn: Know what you’re writing. Make an outline or storyboard so you don’t get stuck. Get feedback from others, like your friends and family. Also, make sure you WRITE! Carla: Name the most unusual place you’ve found inspirations for one of your books’ characters? Kieryn: Before my trip to Disney World I was looking up information about the marathon weekend , and I saw a picture of Cinderella. I think she was running to her carriage at midnight, but in the picture she looked pretty freaked out, and that reminded me of a dream I had the night before. The dream and the Cinderella image fused together into an idea for a character (and plot). I haven’t finished this book, but I’m glad I saw the picture of Cinderella! Carla: Favorite line from a favorite book. Carla: When you are done sorting through all those college pamphlets, and decide on a school, what subject will you be majoring in? Carla: Where can my readers find your books? Carla: What did you have for dinner tonight? Kieryn: Garden pizza—I picked the tomatoes off, of course. Carla: Your favorite vacation spot? Kieryn: Long Beach Island, NJ! I go there every summer. It’s fantastic. Kieryn: Dogs. Definitely dogs. Large dogs. Carla: What’s the nicest compliment you’ve ever received, personally or professionally? Wow, I’m not sure. What jumps to mind are a few emails I’ve received from adults, telling they really hadn’t expected Rain to be very good (because of my age). But they were emailing to say they really enjoyed my writing—which I think is a great compliment for any author to hear! 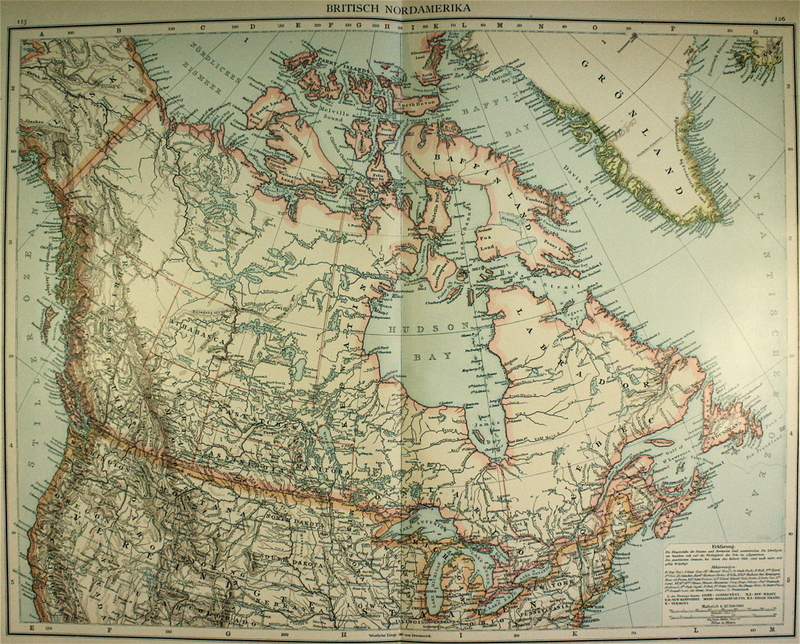 For the first stop on our blog tour, we will be trekking to the Great White North. A very, special welcome to the fabulous Canadian author, Jen Wylie! Other than writing, I also love to read and do a variety of crafts. I’m an Internet addict, however computers hate me LOL. How is your short electronic series coming along? Who is your favorite character and why? Tales of Ever is coming along great! I’ve finished the 4th of the six short stories and it will be coming out in early June. As to my favorite character, I of course love my main character Misha. However, out of all the side characters, I think Shade (Shadow Boy) is my favorite. He was introduced in the third installment. I do so love the dark bad boy types! What is your genre? Tell us about your book. I write most forms of fantasy, from paranormal to romantic to urban. I also write for adults and young adults. Though I’ve a number of short stories out already, my debut novel is a romantic fantasy. When fate conspires against you and gives you three loves to choose from, what do you do? When you do decide, what if you made the wrong choice? Share is a Healer, raised and trained from childhood until her unique gift manifests itself. When she gains the rank Journeyman she is hired to serve as the court healer of the barbaric kingdom of Glendor. Untrained for war she is thrust unmercifully into its bloody arms when the kingdom is invaded. Ordered by her king to the front lines to tend the wounded, she is forced to flee when their camp is attacked. Happening upon a wounded soldier in the forest, every mile back to the capital is a struggle, and breaking the Healer’s code, she falls in love with her charge. What’s the most effective promo you’ve ever done? In general using twitter has been the most effective. For a one shot promotion I would say my feature on Pixel of Ink. There are a number of places I haven’t been yet though, so that could change! Too many to count, and it changes as time goes on and depending on my mood. Always love Anne McCaffrey. Michelle Sagara has been one of my favorites for a number of years. Genre you’d like to try but haven’t done yet. I’d like to try horror. Maybe. I might scare myself. I can’t even watch scary movies. What do you think makes your book unique? Well I wrote it 😀 Every book is unique, from the story to the characters. I’m a very emotional person, and that comes out in my writing. I noticed that you regularly give out great advice on making the most of social media. Have you always been drawn to helping others. So tell me, what did you have for dinner tonight? Meatloaf. Ya, our dinners aren’t all that exciting. I love baking, cooking not so much. Anything with chocolate 😀 I’m not really picky. Dogs. I’m allergic to cats. All of Jens’ short stories are available in eBook formats at Amazon, Barnes and Noble, Smashwords and OmniLit. Thanks to her mother she acquired a love of books at an early age and began writing in public school. She constantly has stories floating around in her head, and finds it amazing most people don’t. 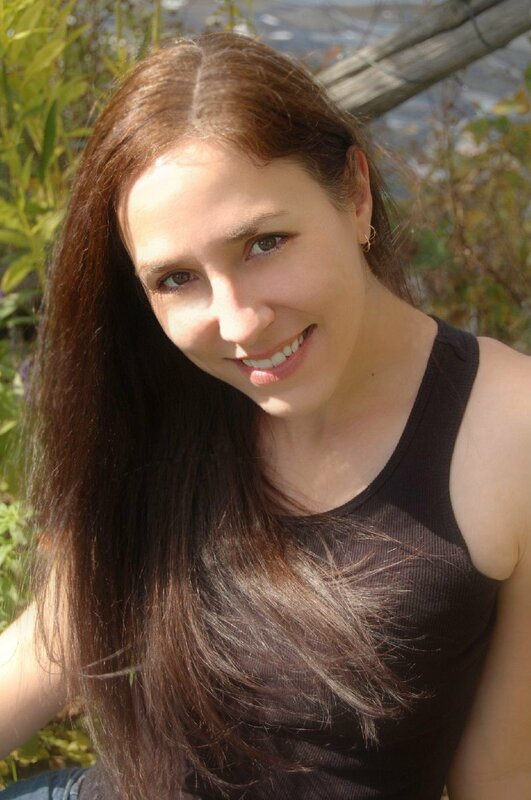 Jennifer writes various forms of fantasy, both novels and short stories. 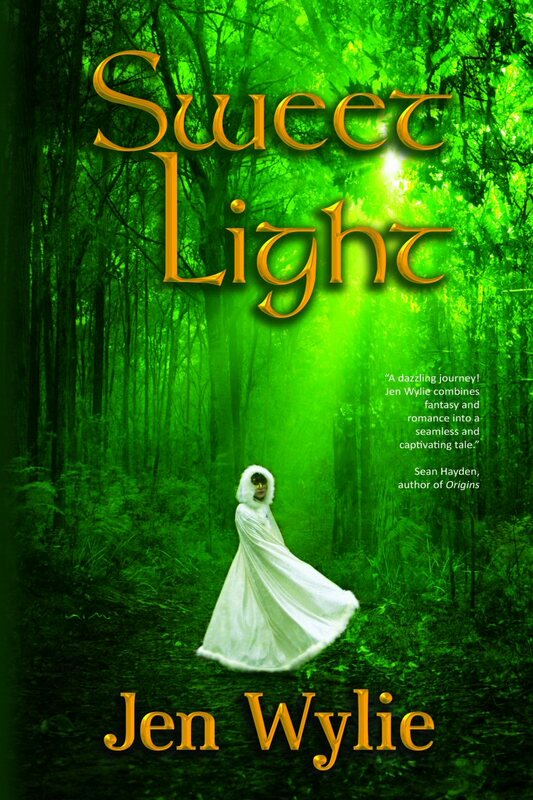 Sweet light is her debut novel to be published in June 2011. Jennifer resides in rural Ontario, Canada with her husband, two boys, Australian shepherd a flock of birds and a disagreeable amount of wildlife.